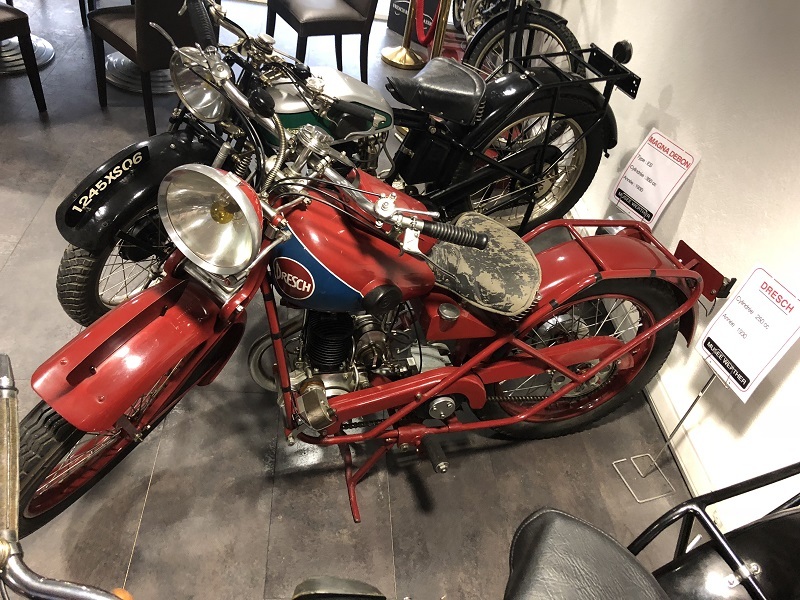 Above the main showroom of Werther, a modern motorcycle dealership in Nice, is a room with a secret – a small but important private museum. The founder of the dealership was Werther Pasquetti, named Werther after the opera by Jules Massenet based on Goethe’s novel, which shows that good taste ran in the family, as it still does today. Monsieur Pasquetti started as a repairer and restorer of bikes before he created his own garage, now run by his grandchildren. We were privileged to speak to his son Gérard, now semi-retired, who kindly gave us permission to take these pictures and post them on the website. This Terrot is a belt-driven 2-stroke. Charles Terrot and Wilhelm Stücklen had founded a machinery factory in Cannstatt, Germany in 1862. Terrot added a branch factory in Dijon in 1887, and in 1890 the Dijon factory added bicycles to its products. In 1902, the Dijon factory made its first motorcycle. It was powered by a 2 bhp engine supplied by Zédel of Switzerland. 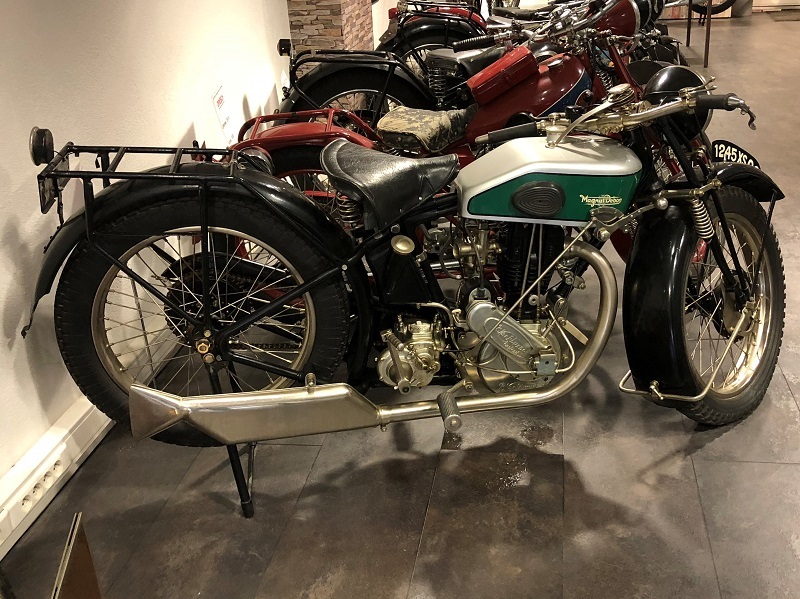 After that, Terrot built motorcycles with engines from 173cc to 498cc from proprietary engine suppliers including the Swiss manufacturers MAG and Dufeaux, the English makers Chater-Lea and JAP and French Givaudan engines from Lyon. In 1921, Terrot launched new two-stroke models, and this 175cc machine is one of them. Another Terrot, probably from around 1924. 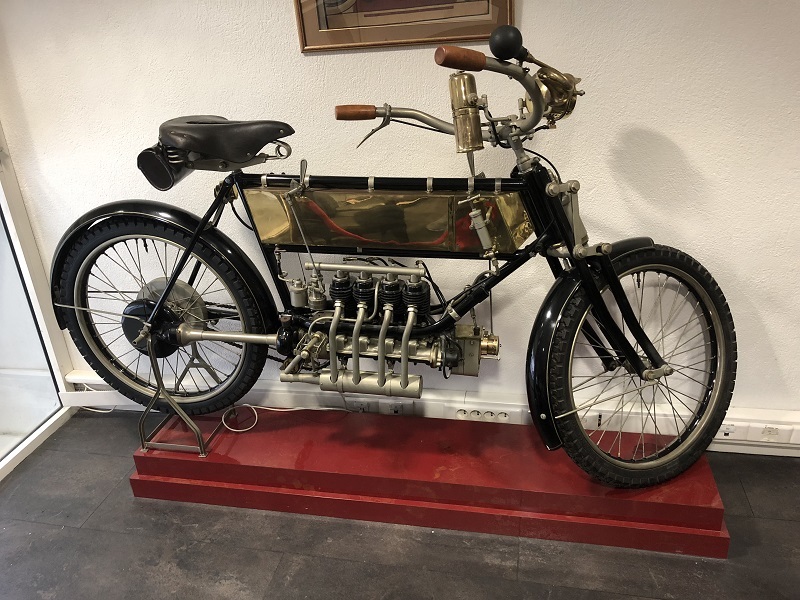 From 1923, Terrot started to make four-stroke models with 350cc JAP engines, and we see here one of these machines, this time with chain drive. In 1924, Charles Benoît and Abel Bardin designed their first motorcycle, the MB1. 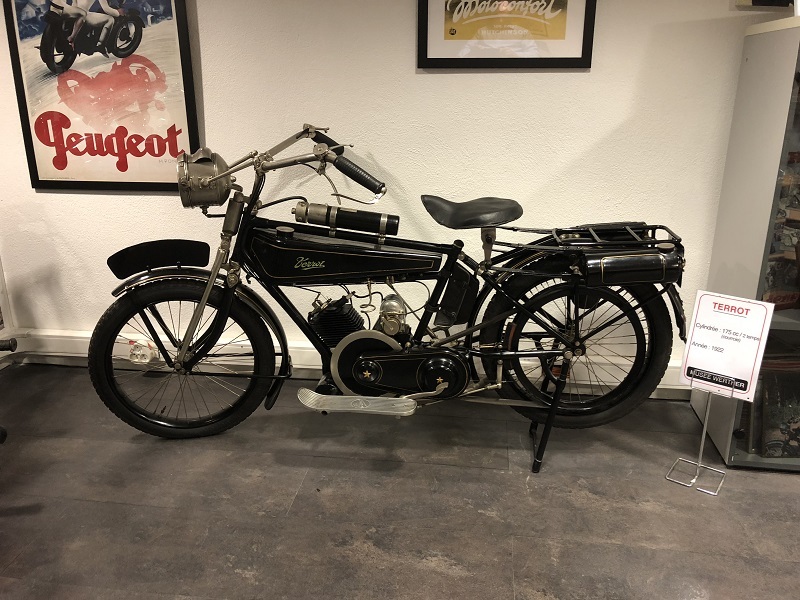 Made at their factory “Ateliers de la Motobécane” at Pantin, north-east of Paris, it was a basic machine with a 175cc single-cylinder two-stroke engine with belt drive in an unsprung bicycle-like frame. 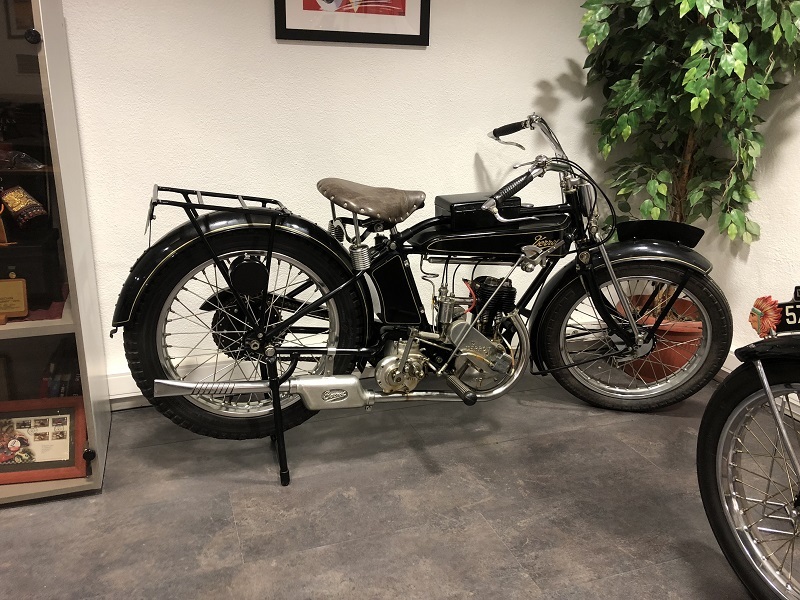 In 1926 they created the Motoconfort marque with the 308cc MC1 model, followed in 1929 by the little BMA, “bicyclette à moteur auxiliaire” [bicycle with auxiliary engine], with a 100cc 2-stroke motor. In ten years, the company sold around 150,000 of these popular bikes. 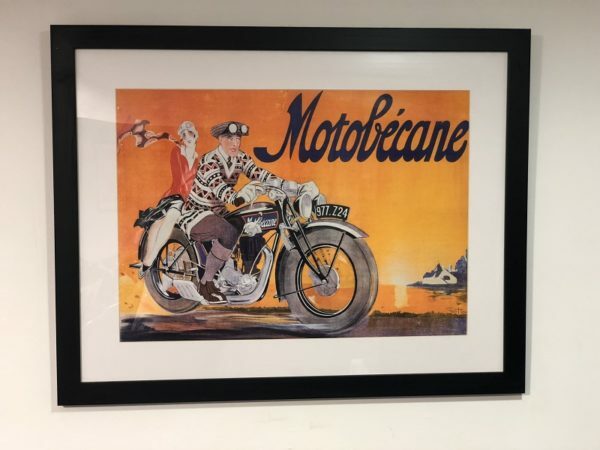 In the 1930s, Motobécane became a major motorcycle manufacturer, with many models of all sizes – even a prototype four-cylinder of 750cc. The example here is a relatively small 250cc with a four-stroke side-valve engine. Monet & Goyon was a French motorcycle manufacturer, founded in 1917 by the engineer Joseph Monet and his financial backer Adrien Goyon in Mâcon to make invalid vehicles. The company lasted until 1959. 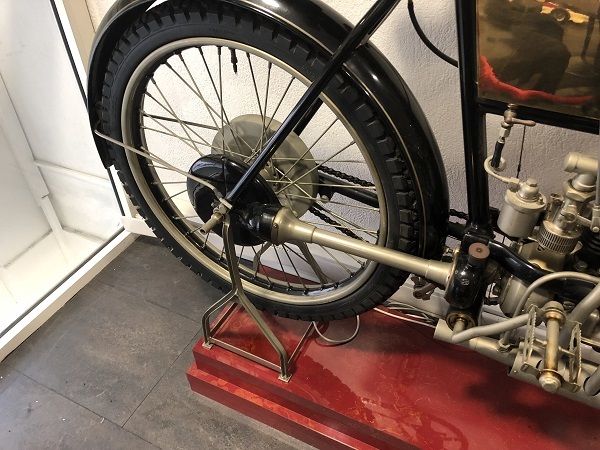 The first engines were of 117cc capacity, mounted on a motor-wheel made under licence from the English Autowheel company and suitable for fitting on any bicycle. 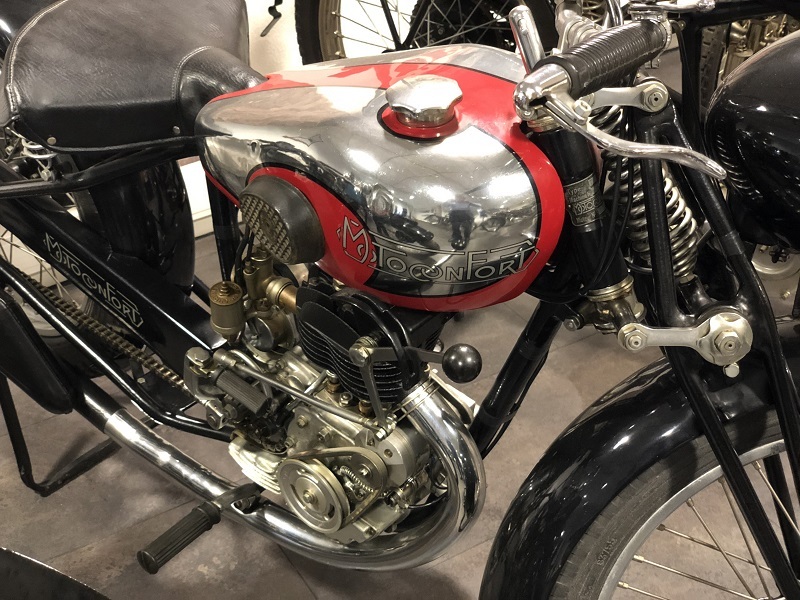 By 1933, when the single-cylinder bike in our picture was made, Monet & Goyon were making a range of bikes with “semi-culbuté” engines: these had side-valve exhaust and overhead-valve inlet, known in the UK as “inlet-over-exhaust” (IoE). Dresch made motorcycles between 1923 and 1939 in Paris. The 250cc single-cylinder seen here is almost certainly the popular MS 604 model, again “semi-culbuté” or IoE, made under licence from the Swiss motorcycle manufacturer Motosacoche through its proprietary-engine operation MAG (Motosacoche Acacias Genève). The Magnat-Debon was made in Grenoble from 1905 to around 1958. It was around 1892 that Joseph Seraphin Magnat, self-taught watchmaker and inventor, founded the company with Louis Auguste Debon, a mechanical engineer, initially to make bicycles. The first motorcycle followed in 1902 – a bicycle with a 250cc De Dion-Bouton engine, called an “autocyclette”. From 1905 onwards, the company produced its own engines, designed by the Swiss engineer Arthur Moser. Production of ammunition and army motorcycles in World War One further strengthened the company, but competition at the end of the war from surplus American bikes at cheap prices, and the suicide of Arthur Moser, fatally wounded the company and it closed in 1920. In 1921 Terrot bought the Magnat-Debon name and used it for a paltry 10% of Terrot production, in effect making a Magnat-Debon a rebadged Terrot – except for the shape of the petrol tanks and the engines. These were all imported from England (J A Prestwich for Terrot and Blackburne for Magnat-Debon). The marque disappeared completely in 1959 with the purchase of the Terrot-Magnat-Debon company by Peugeot. Thomann motorcycles were made in Nanterre, just north-west of Paris, from around 1921 to 1955. They were built in a variety of capacities, with AMC or Zürcher engines. Just as Motobécane and many others, they also made 100cc BMA machines that needed no registration number. 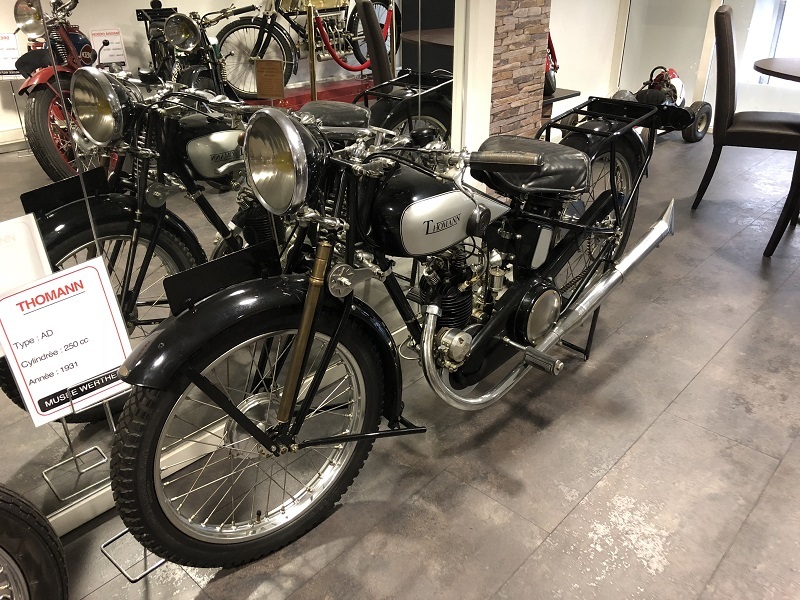 Thomann eventually merged with Gentil in 1923 and the group was later acquired by Alcyon, who continued to produce motorcycles under the Thomann marque. At this point, Thomann, Alcyon, La Francaise, Diamond and others were the same motorcycle with different brand names. 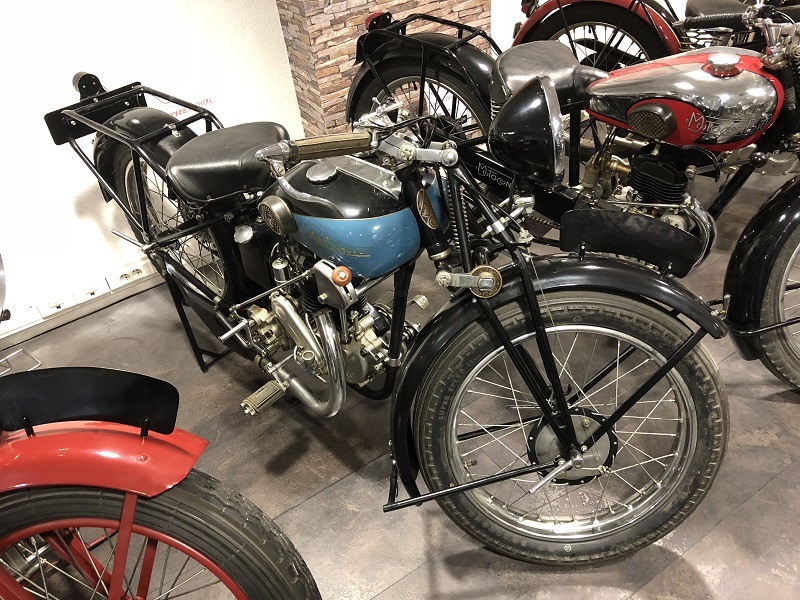 We suspect that the example in our picture is a 250cc overhead-valve single-cylinder Super Sport from the Alcyon period, with a Zürcher engine. Favor made motorcycles, mopeds and bicycles in Chamalières near Clermont-Ferrand. It was founded in 1898 by Étienne Guillaume and closed its doors in 1977. 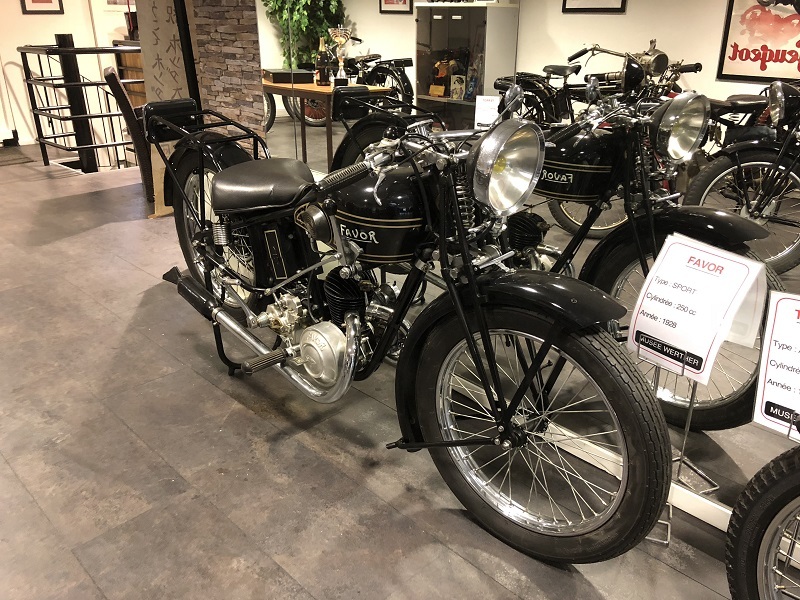 The first Favor motorcycle, a 125cc 2-stroke, was built in 1921. 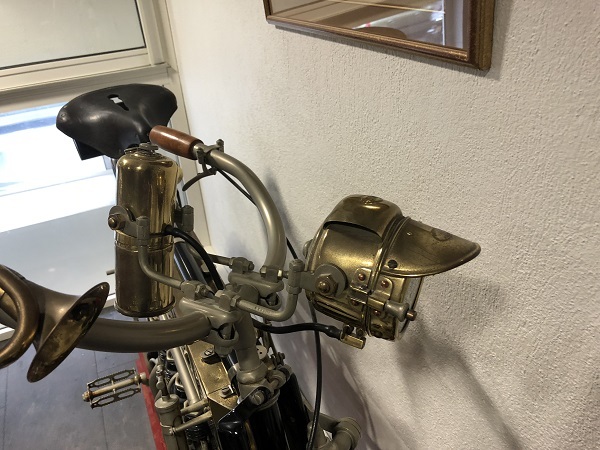 Engines from Chevillard of Montrouge were used until 1940, and we believe that the example in our picture has a single-cylinder two-stroke from this maker. In 1929, Favor began marketing its first four-stroke engines with 350 JAP side-valve or Blackburne overhead-valve engines. The following year, Favor created another 350 in collaboration with Chevillard: a 350cc four-stroke flat-head side-valve. But that is beyond the era of the example shown here. The Dollar was a French motorcycle made by Ets. Delachanel in Joinville-le-Pont, just south-east of Paris, from 1925 to 1939. Motorcycle production began in the early 1920s at Charenton, near Paris, and in 1927 the factory moved to Joinville-le-Pont. The origins of the Dollar marque date back to 1850: Foucher and Delachanal were mechanical engineers and began in the late 1890s to build bicycles under the name of “Omnium Spencer”, but soon after coined the name “Dollar”, capitalising on the fashionable obsession of the time with all things American. By 1926 the range consisted of 12 models, all with Moser engines. In 1927 the first Chaise-equipped machine appeared. 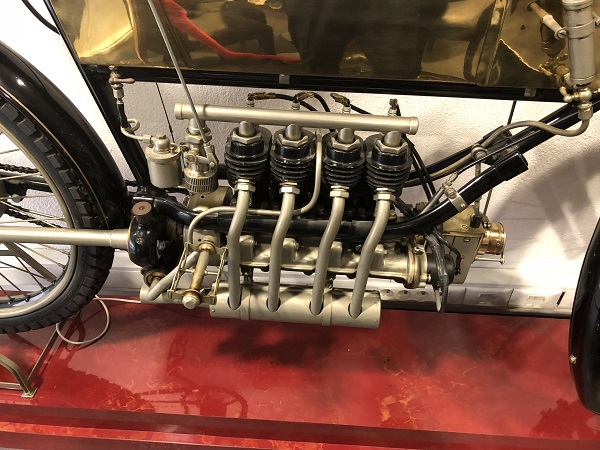 This engine caused quite a sensation, having overhead camshafts and hemispherical combustion chambers, and by 1929 the machines were almost exclusively powered by Chaise. 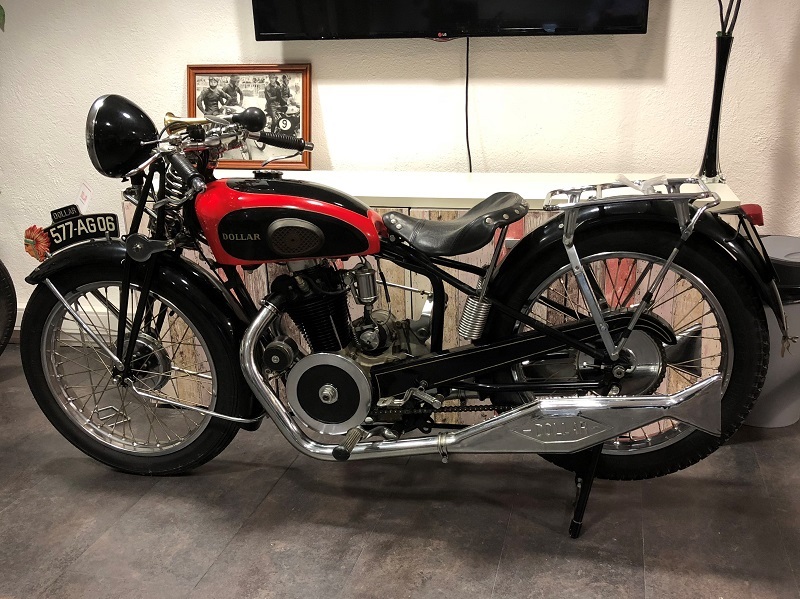 We are uncertain of the identity of this example: The bike is displayed as an R42, but R42 does not appear in any literature that we can find, and we think it may be a mis-described R4 with a Chaise single-cylinder overhead-valve engine of 350cc capacity. This lovely machine was described to us by Gérard Pasquetti as his father’s “pièce de résistance” – a restoration of which the family is still justifiably proud. It is an FN, made in Herstal, close to Liège in Belgium. FN was then and is now principally a firearms manufacturer – FN is a shortened version of the name Fabrique Nationale d’Armes de Guerre”. In 1899, FN made shaft- and chain-driven bicycles, and in 1900 experimented with a clip-on engine. In December 1901, the first 133cc single-cylinder motorcycle was built, followed in 1903 by a shaft-driven 188cc single-cylinder. In 1905, the first 362cc shaft-drive in-line FN inlet-over-exhaust four-cylinder motorcycle appeared, designed by Paul Kelecom. This was the world’s first four-cylinder motorcycle, and our example is one of these. It is unusual in having direct shaft drive with no gearbox – and with braking by a rear drum operated by backward pedalling. Lighting is by acetylene and lubrication is by hand pump. The machine was claimed to be capable of an impressive 40mph. 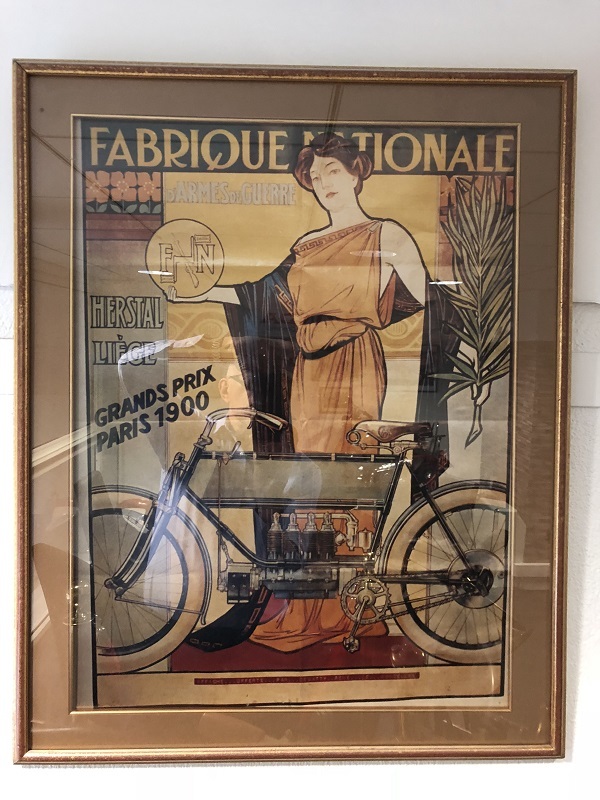 Although the machine pictured is “our” 1905 model, the poster celebrates the prize won at Paris as early as 1900.